The warm weather is in full swing and I am loving it! I took Monday off from work to do a little yard work, enjoy the sunshine and to make you today’s recipe. I made a pitcher of Arnold Palmer. 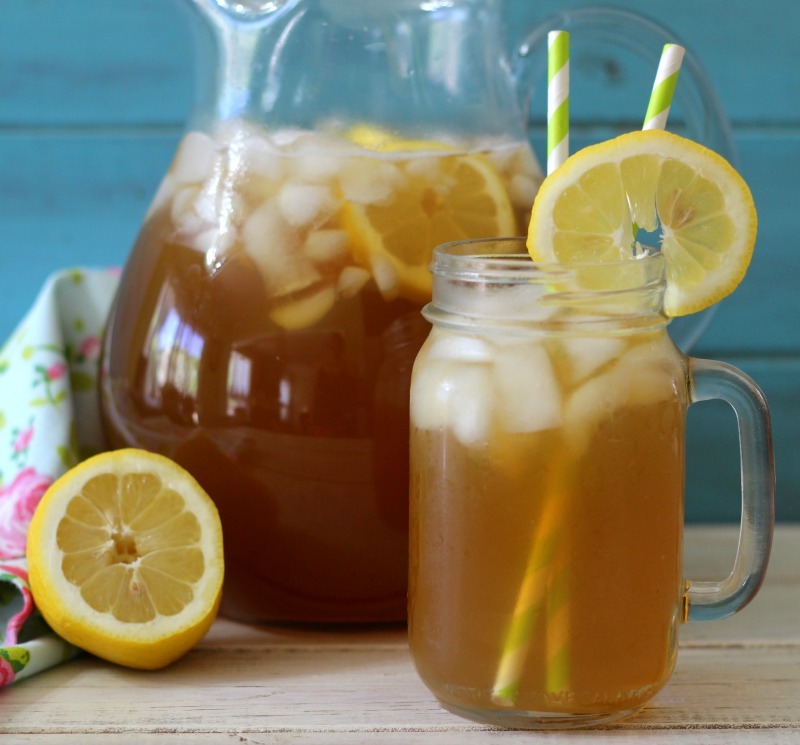 If you don’t know what an Arnold Palmer is, it is half tea and half lemonade. It is so refreshing and my all time favorite drink. When I go to a restaurant I always order an Arnold Palmer. My Husband didn’t know what it was, he thought it was a cocktail, so he ordered a Bloody Mary. I said Wow getting a drink, he said so did you and then I told him what an Arnold Palmer was he was like, oh. 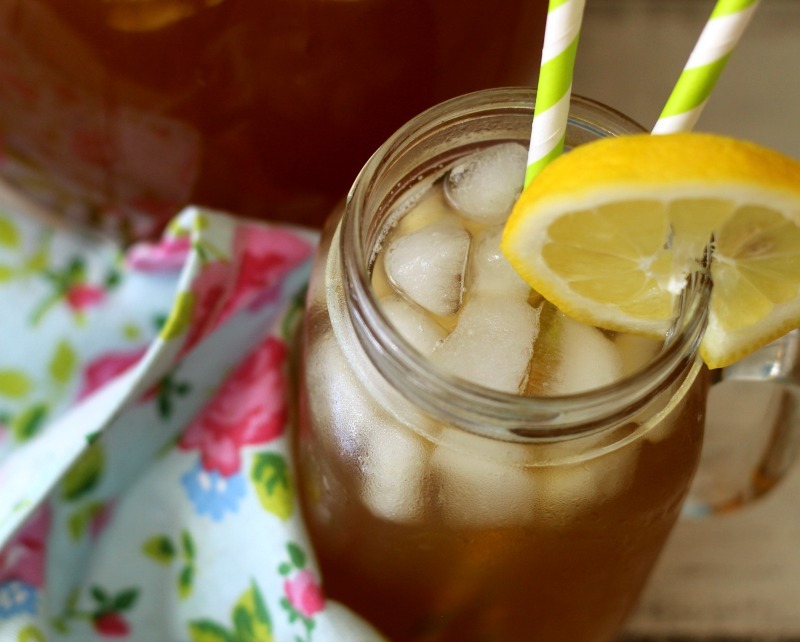 An Arnold Palmer is named after the famous golf player. I guess that is what he always ordered? 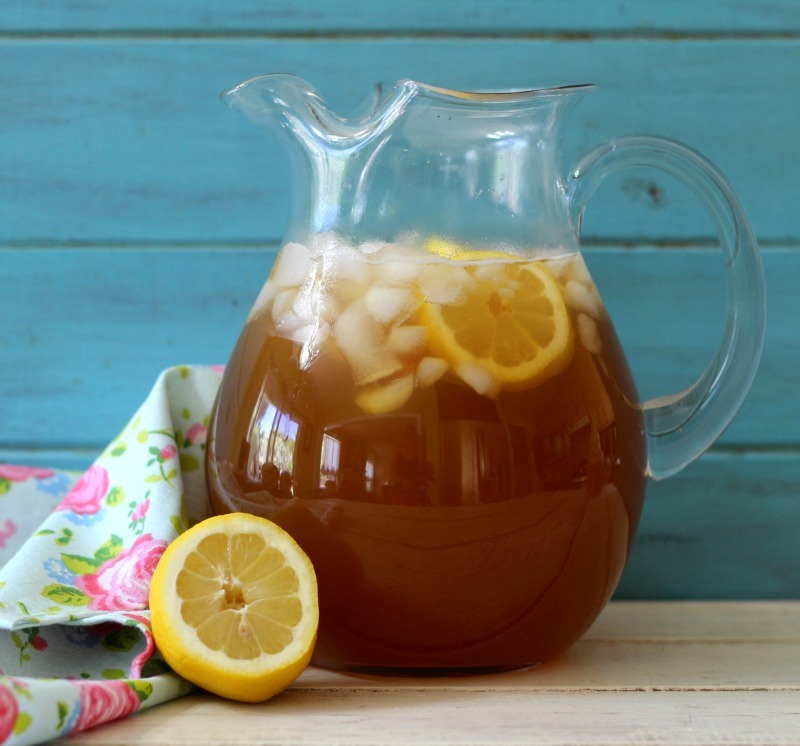 The drink has a perfect blend of tea and lemon juice. It is not to overly sweet or tart. Just right for my taste buds, but you may want to add more sugar? To make it is so easy. I just seeped some Lipton Tea in hot water. Poured it into my pitcher and added lemon juice and cold water. Easy peasy! Perfect for a summer BBQ. 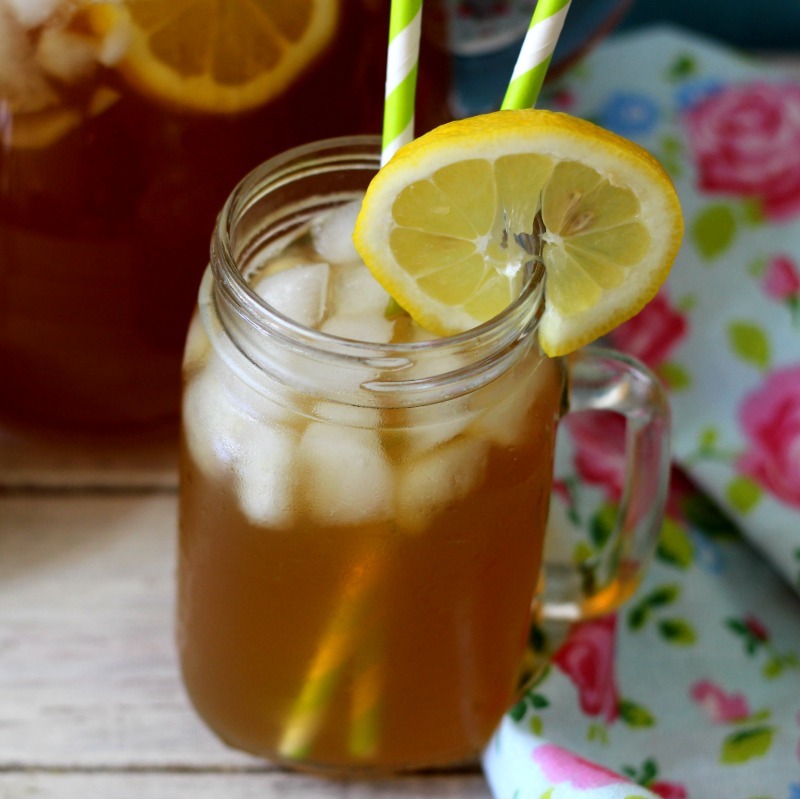 A light refreshing drink made with tea and lemons. Bring 4 cups of water to a boil. Pour water into a heat proof bowl and add sugar. Mix until sugar is dissolved. Add tea bags and let it seep for about 30 minutes. Take out tea bags and pour tea mixture into a pitcher. Add lemon juice and cold water. Mix until well combined. Taste to see if it is sweet enough for you. If not, stir in more sugar. 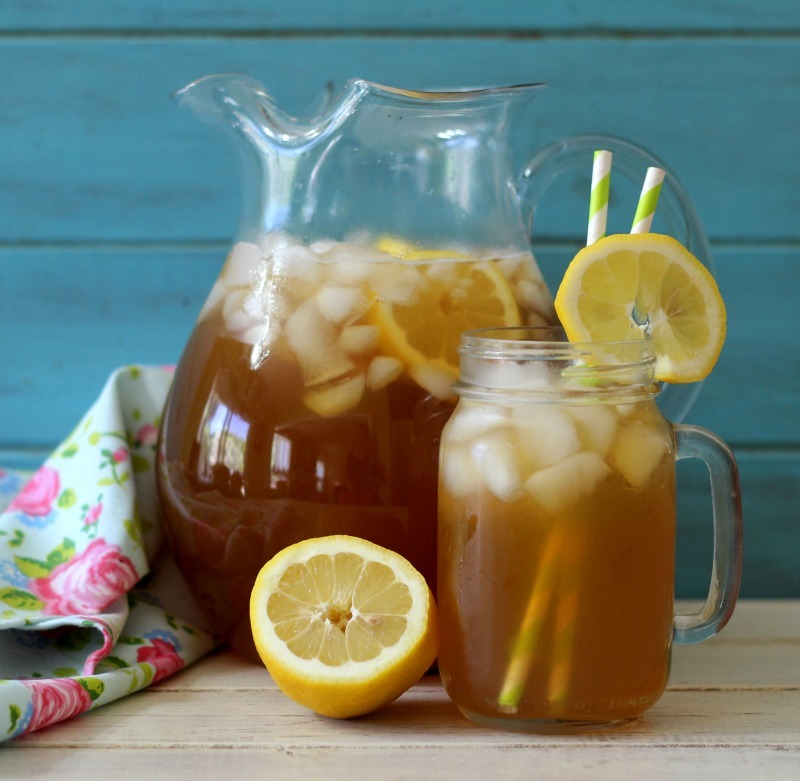 Top with lemon slices and ice cubes. I am simply in love with this drink. So perfect for the summer and a breeze to make.